Online English to French translation services are essential if you want your business to grow. They are also important if you want your medical or scientific paper, or your novel, to be accepted all over the world. But where does copyright come into the world of translation? When copyright relates to a translated work it can be something of a minefield to untangle the ins and outs. The translation is what is known as a ‘derivative work’, and this is because it only exists due to the original work. It would not have been written without the first version of it. Despite being seen as a derivative, English to French translation is still eligible for copyright, as it is, in essence, a language translator creating a brand-new piece of work, something totally original, even when translating something that already exists. It takes thought, labour, and skill from the translator to create the new piece of work, and because of this it can be registered for copyright as an entirely new document. 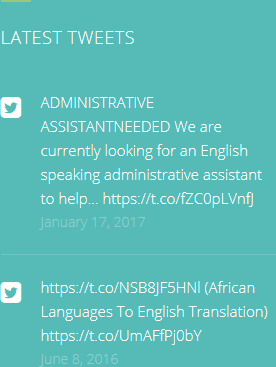 However, this can only be done if the translator has the permission to create the new work – that is, they have been contracted to carry out the translation. Simply translating a novel for one’s own pleasure, and then attempting to hold copyright of it, is not possible. If the work is in the public domain then this permission is not necessary. A novel, poem, or other piece of fiction is seen to be in the public domain 70 years after the creator’s death. 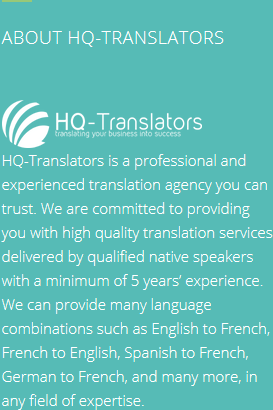 HQ-Translators are there for all your online English to French translation needs. 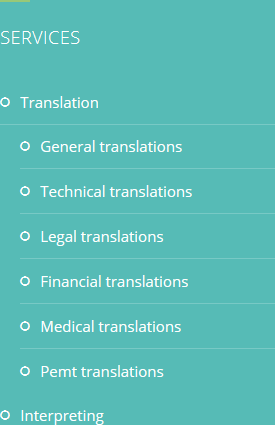 We can help with scientific papers, essays, novels, and much more – find out what we can do by visiting https://hq-translators.com. To discuss our services, please phone us on (00 237) 242 71 38 38, or (00 237) 693 21 69 27 or email infos@hq-translators.com.